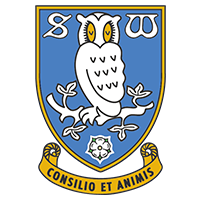 MATCHWATCH : Sheffield Wednesday (h) sponsored by oh no, not another Saturday home game - Hob Nob Anyone? Reading are to go a hunting their second Saturday home win since April 2017 against Sheffield Wednesday. That magnificent record is compounded further as the club are also looking for their first league win of the season at what will be the sixth attempt. Sheffield Wednesday didn’t record their first win until 22nd August but they then followed that up with another against Ipswich last Saturday so are sat somewhere comfortable in the middle of the table with 7 points from their first 5 games. They haven’t been travelling too well so far though with only 2 goals to show for their previous efforts at Wigan (lost 3-2) and Brentford (lost 2-0). Most recently they lost at home to Wolves in the League Cup but, unsurprisingly, had made 11 changes from the team that beat Ipswich in the previous game. The loan window closes on Friday and the Owls are still looking to bring players, the strong rumours being that Danny Batth and Lucas Piazon may well be joining while Ferdinand Forestieri will be off to Leeds. Reading, on the other hand, will only do business if the proverbial “opportunity too good to turn down” comes their way. After the Reading’s eviction from the League Cup the supposed first choice team will swing back into full effect although it’s debateable whether Paul Clement has actually decided his best XI yet. It wouldn’t surprise me though to see the same line up that started v Villa take to the field unless there’s any late injuries - and we all know how Reading seem to be rather good that those. If there is a change then perhaps Gunter might get a look in at left back but can’t see much beyond that unless PC spots a weakness in the Wednesday team he feels could be exploited. Not really very many league games played with Wednesday since 1920. Only 22 games in total, meaning just 11 seasons together in the same division, and no league games at all played before 1976. In fact 18 of those 20 games have been played since 2002 so Sheffield Wednesday have been reasonably regular opponents since then. Only 2 home league games have ended all square including last season’s 0-0. 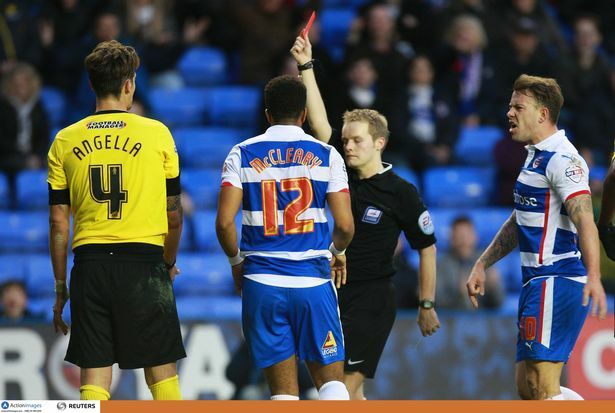 Reading have won 6 and lost 3 of the 11 other league games played in Reading scoring 20 and conceding 8 in the process. Gavin Ward is a man who cannot be trusted. He is from Surrey though which is not a million miles away from us, not sure I'd be happy about that if I supported Sheffield Wednesday. Team I would go with, Bacuna did OK yday. Meite is the best we have at winning headers and being physical up against defenders. Sims looks bright so far. We urgently need another CM in on loan. royal_rumble Team I would go with, Bacuna did OK yday. Meite is the best we have at winning headers and being physical up against defenders. Sims looks bright so far. We urgently need another CM in on loan. Why the hell would you play Meite? He has been utterly hopeless in the last two games. You're dropping Bodvarsson? Laughable. Baldock and Bodvarsson will start up top, fairly easy decsion for the manager. That back 4 should remain unchanged until Obita is fit. Get some continuity in. Gunter can make bench appearances for fitness and if Blackett is dogshite. Give Sims a start as other than Aluko we don't have much choice and Barrow is still our best attacking player. Bacuna is better all round than Kelly or Swift so should be starting and Meyler gets one more chance from me to prove he is everything he says he is. Kelly disappoints me so much and Swift isn't built for a 4-4-2. Bod and Baldock have to play together. Bod has been industrious and is actually scoring despite his inability to hold up the ball or win a header outside the box and Baldock needs time to start scoring and getting used to his team mates. We're going to lose. 1-0 at halftime then they score 3 in the second half. Including 1 three minutes after the break. That team is the best we have until obita is back. I still think we should go with a 4-5-1. Probably the tactics we will indeed go with but Bod sadly isn't up to task for that. He loses a surprising amount of aerial duels when playing with his back to the goal. Something Pog thrived at. Isolation and bad balls tend to happen when playing with Aluko..
You're kidding right? For someone well over six foot, Pog was awful in the air. Yep, by pass the middle. Pretty sure in our most successful team not much was created by Harper and Sidwell. They just did a oxf*rd ton of running and let the wings create something. Nope. Pog, despite all his faults, was capable of top quality hold-up play and was a decent ball winner from aerial duels. His work ethic, dribbling, crossing and passing all pale in comparison to Bod but if he was in this team he would be a better option than Bod. He just suits the tactics a little more. Of course given we have no natural goal scoring talent right now the tactics still wouldn't work to their best.. Nonsense. Harper and Sidwell created loads. And Harper was usually the one who started us off by getting it wide and into space early in the first place. It's Legs and Jem that were extremely bypassed. With the midfield we have, 442 is asking for trouble. Not sure why he is persevering. Bodvarsson has shown he is lightweight and can't hold the ball up. And Baldock... he of missing from 2 yards out and looking like a poor mans Shane Long? Yep keep him out there. NewCorkSeth Probably the tactics we will indeed go with but Bod sadly isn't up to task for that. He loses a surprising amount of aerial duels when playing with his back to the goal. Something Pog thrived at. From what I recall, he was ok when the ball was played into his feet using his strength but he was usually out-battled in the air by defenders 6 inches shorter than him. So playing down the wings, yeah?